Exciting news for Meat & Bread lovers, the popular fresh roast sandwich shop is switching things up for 3 days this month. 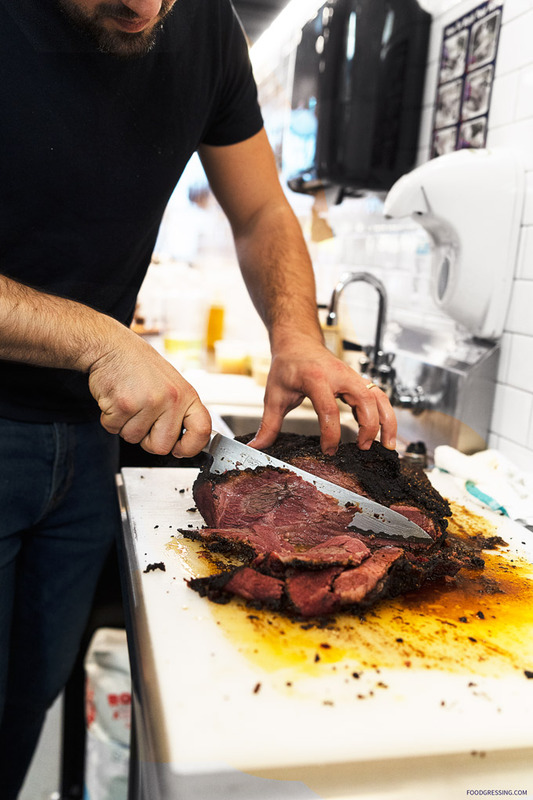 Instead of their signature Porchetta carve on April 11, 12 & 13, Meat & Bread will be carving up their own house made Pastrami, to create a mouthwatering Reuben Sandwich. 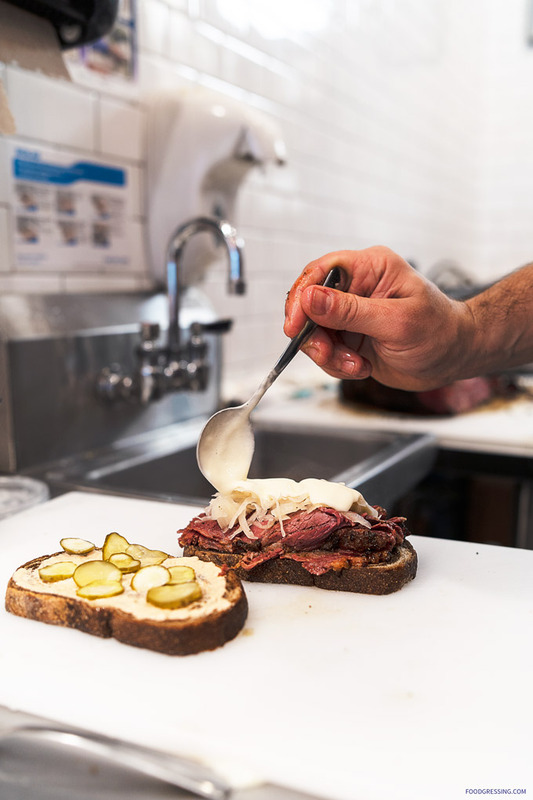 Inspired by Montreal Smoked Meat and the heaped Pastrami sandwiches of New York Deli’s, this sandwich features house-made pastrami carved to order, stacked on rye Bread with sauerkraut, gruyere fondue, Russian dressing and spicy pickles. It is toasted briefly on panini machines before serving. 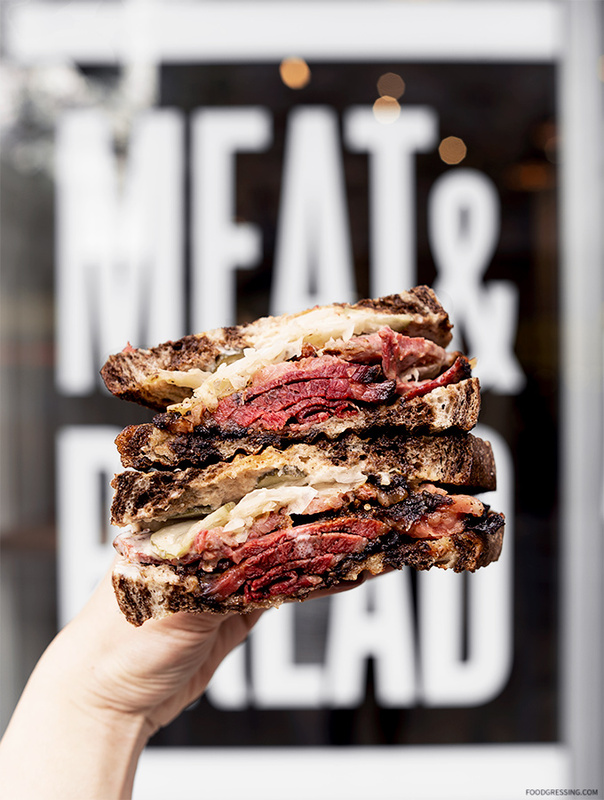 The Reuben sandwich will be available at Meat & Bread’s 3 Vancouver locations: 370 Cambie Street, 1033 W Pender Street plus their newest location at 625 Robson Street. 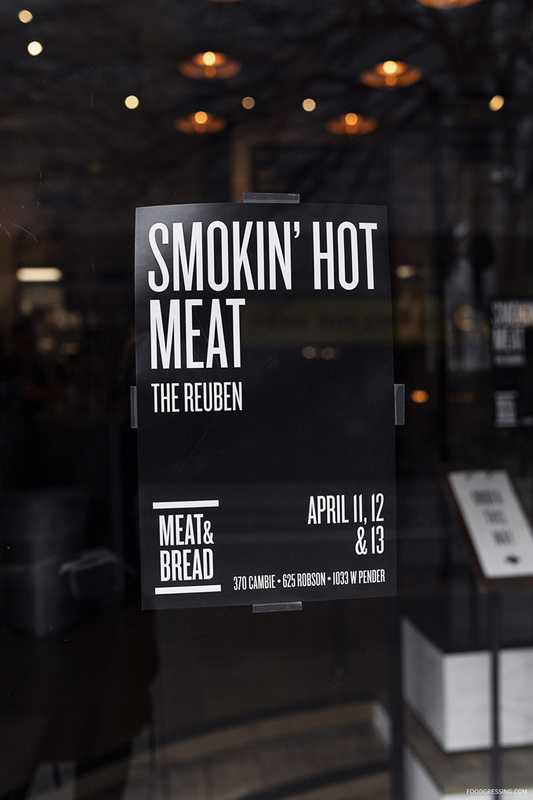 The Reuben will also be available at their Test Kitchen at 2455 West Railway Street in Abbotsford, their South Lake Union shop in Seattle and their Grain Exchange shop in Calgary. Each day, the Reuben sandwich will be available at the beginning of the day for $15, while supplies last. I had a media tasting of the sandwich and can say that it was pretty darn delicious! It’s grilled, cheesy, crunchy and gooey with bold flavours. Sharp rye bread, tangy sauerkraut, creamy Russian dressing, tender pastrami. I would love to have it again and would recommend it.